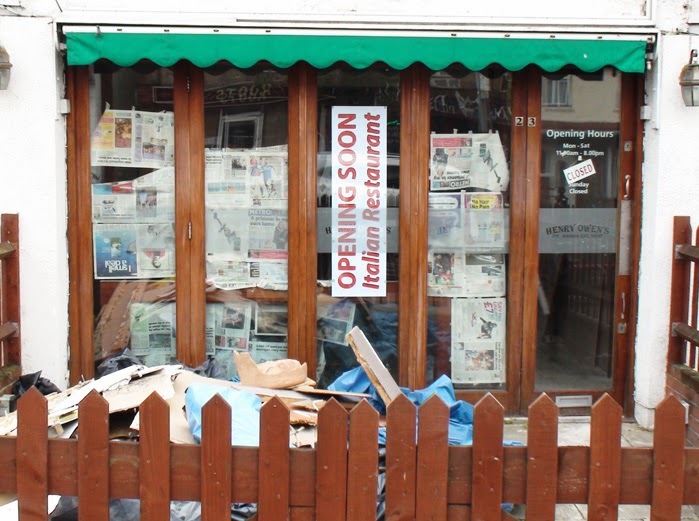 It has been almost a year since Henry Owen's Pie, Mash and Eel shop closed in North Cheam. 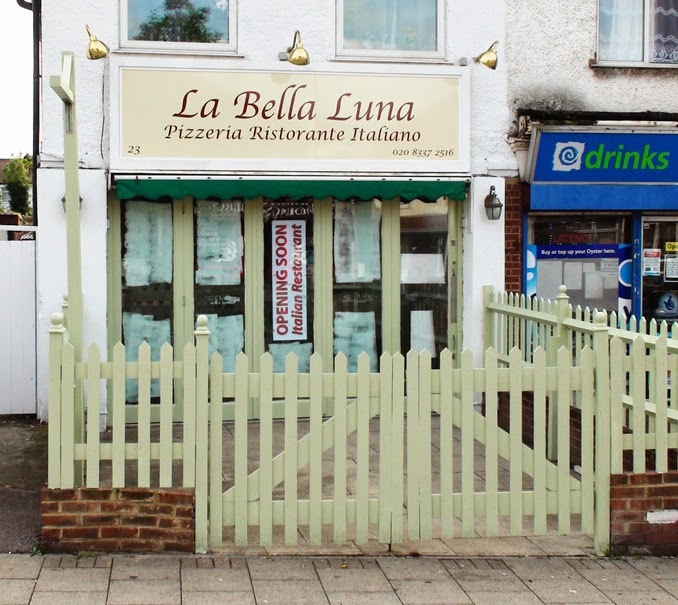 However last Tuesday (2nd September) after many months of renovations, La Bella Luna opened in it's place, providing a new Italian restaurant in North Cheam. The blog has been noting the internal works going on over the months and is glad to see the new eatery finally open its doors. The new restaurant is co-owned by Fidelo who is also the chef (pictured here below) and his brother Luigi. The pair also own the Verona Italian Restaurant in Morden. Viola, also pictured here runs the front of house. Fidelo and Viola told the blog that they are very happy with their first week since opening. They leafleted around 2000 homes in the area with their new menu and already have a facebook page (how very social media savvy). As can be seen in the photo at the top, taken last night (Saturday) they have become fairly popular quite quickly. They are already interviewing potential staff to fill two more positions to cope with the level of business. 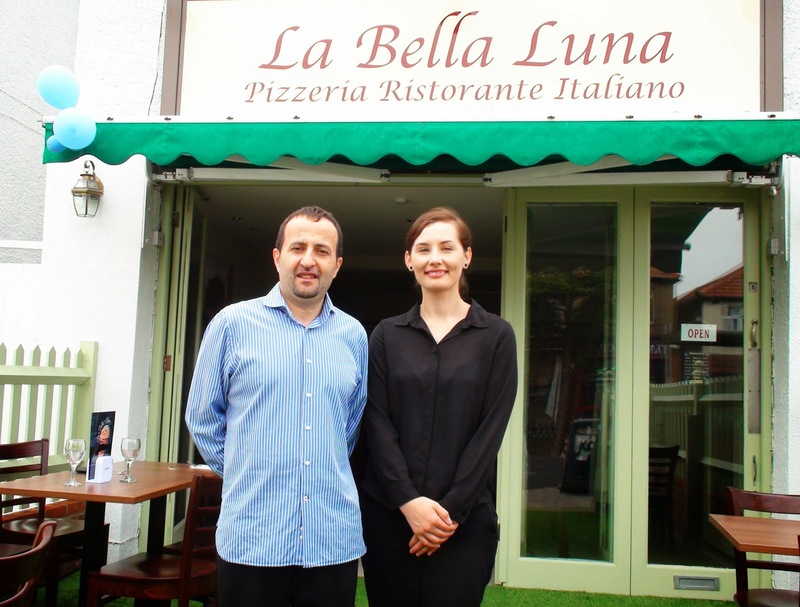 They are open 6 days a week (closed Monday) and also open for lunch, offering a £5 set menu of pizza, pasta and special Italian Ciabatta sandwiches. I hope to coax Mrs WP along for a meal there to find out if it really does pass the good authentic Italian restaurant test. Until then please feel free to comment on the Restaurant review page.